Star Fish Double on the Rocks glasses, Impress your guest with this designer set of Starfish drink ware. Enjoy your drink in style while watching the waves break on the beach. Add some style to your evening with our high quality Star Fish, DOR glasses. This StarFish design glassware is perfect elegance and will charm your guests at your beach party. These quality glasses have style and are gracefully balanced. 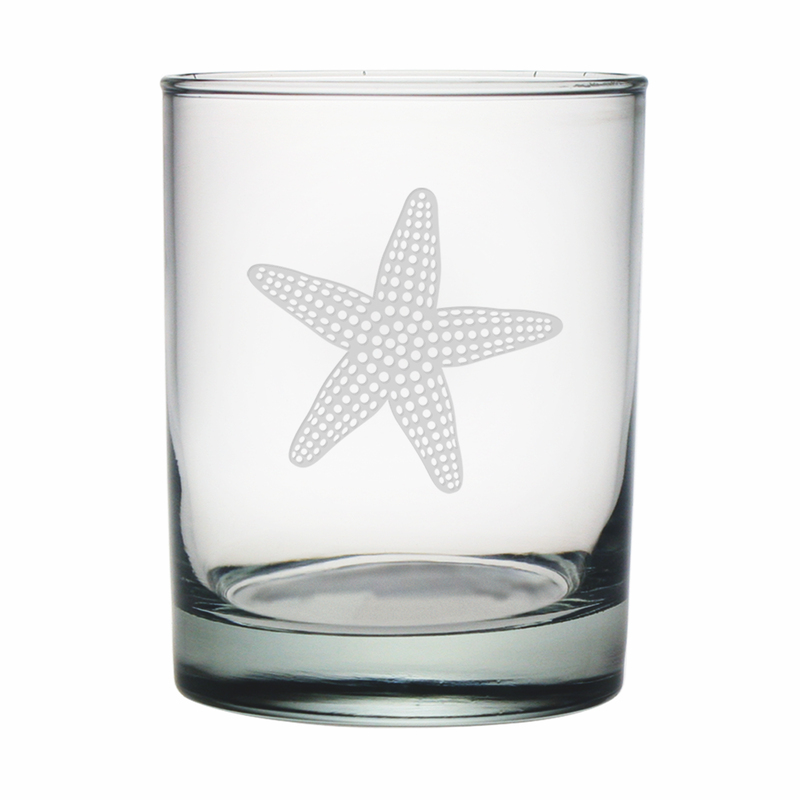 See our whole line of Star Fish glass wares. Make your guest feel like a Star. Need to send a thank you gift for a wonderful time at the beach or fishing trip check our Marlin designs too. SEE RELATED PRODUCTS BELOW.